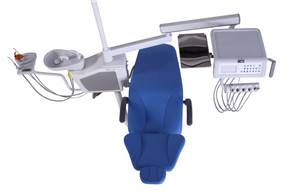 1)If you want a reliable dental chair equipped with everything to start your dental business, but you are constrained by budget, then R3 dental chair will be your best choice. 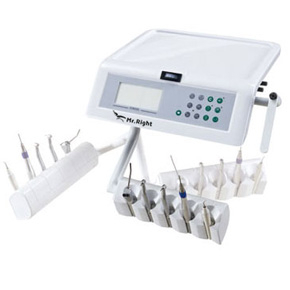 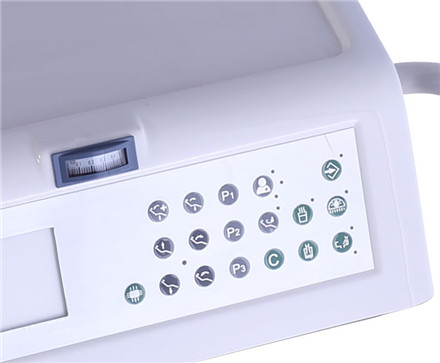 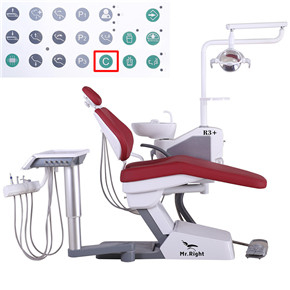 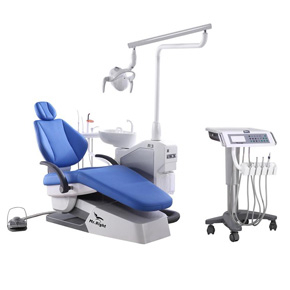 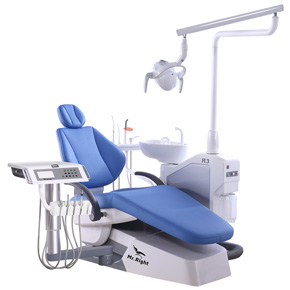 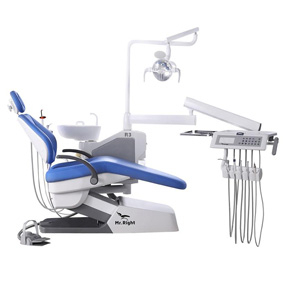 The dentist’s element is available with Over-the-Patient version，up mounted Instrument tray version, Cart version and Chair-Side version. 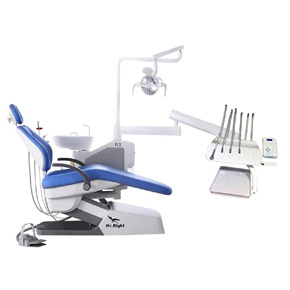 Perfect coordination and variable positioning of dentist elements，assistant elements，side box and ceramic cuspidor.The dentist and assistant elements put everything within your immediate working radius. 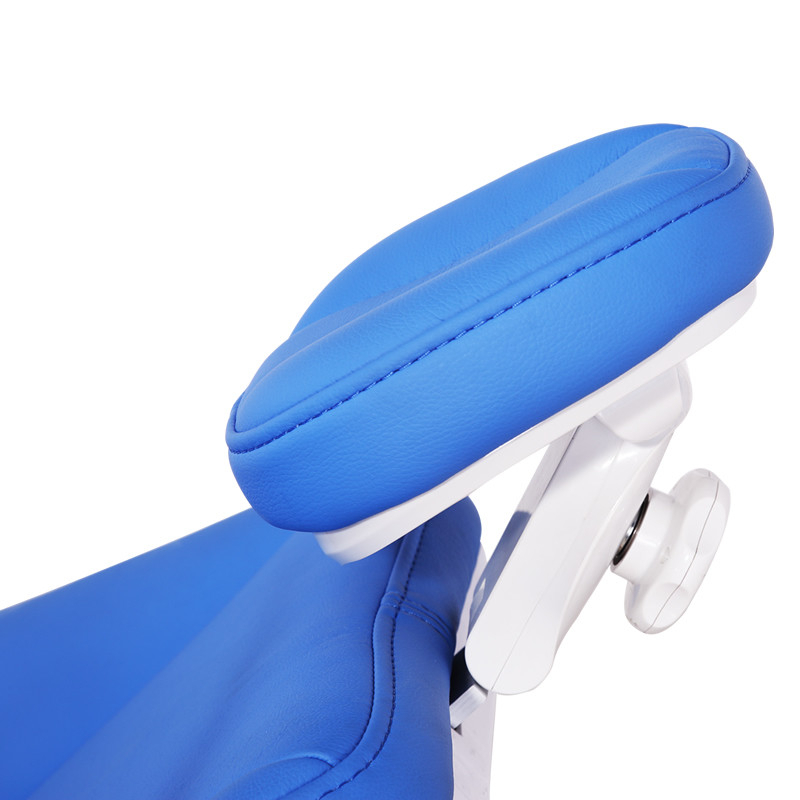 This applies equally if you work alone or together with an assistant. 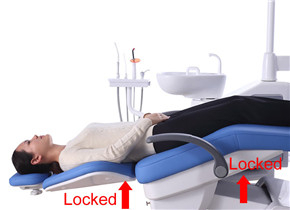 What’s more, your patient has ample room to enter and exit the chair. 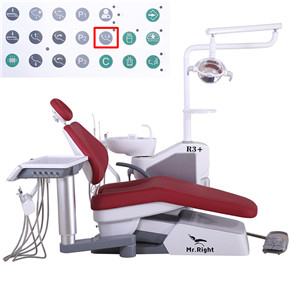 Press this button and move the dentist element to your desired position, release the button and the position will be locked. 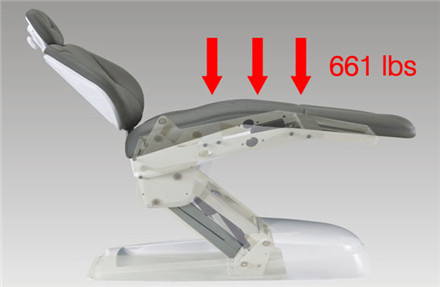 Space-saving element for maximum freedom of movement. 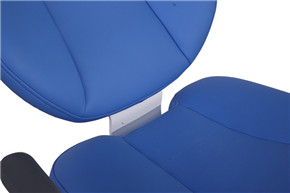 Can be ergonomically positioned, easy to remove. 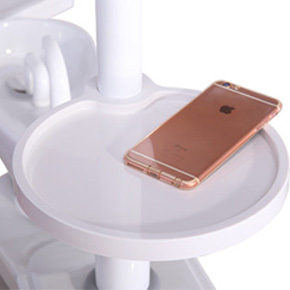 Patient can put their personal things here during treatment. 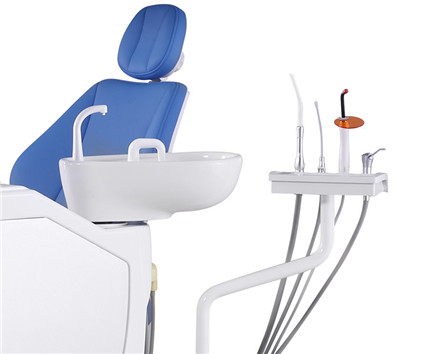 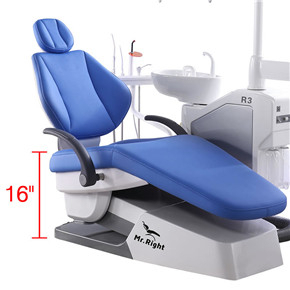 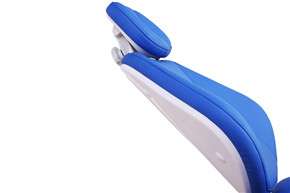 For the Chair-Side and Cart version, you can adjust the dentist element ‘s height from 30″ to 38″, and the element’s tray can bear the weight up to 55 lbs. 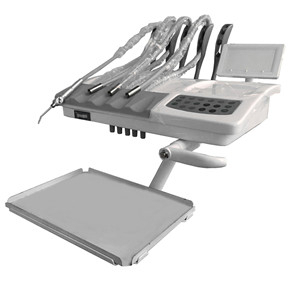 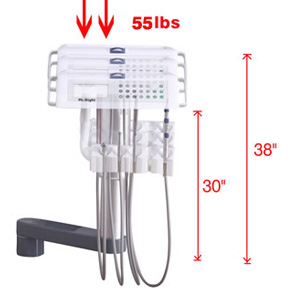 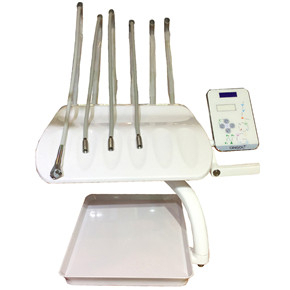 For Over-the-Patient and With Up Mounted Instrument Tray version, the element’s tray can bear the weight up to 11 lbs. 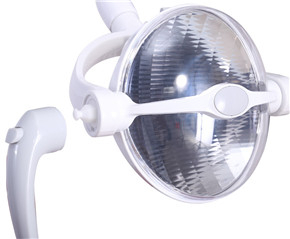 Optimum visibility, perfect illumination of the treatment area. 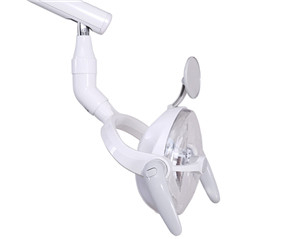 1.Easily Take Out Or Put In The Handle Covers. 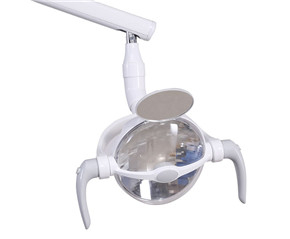 2.The light can be operated by the sensor switch. 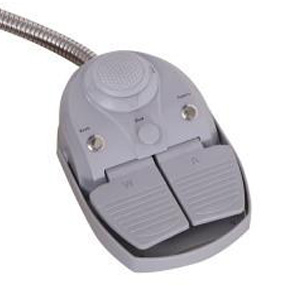 Skim over the sensor switch within 10cm, the light will be on or off. 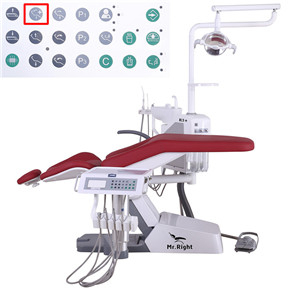 When the light is on, keep the hand in front of the sensor within 10cm, the illumination of the light will be adjusted. 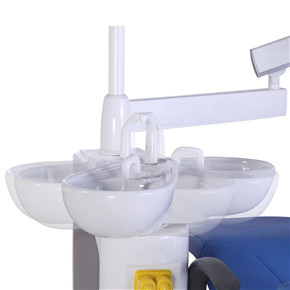 There are three kinds of suction system for saliva ejector in dental chair. 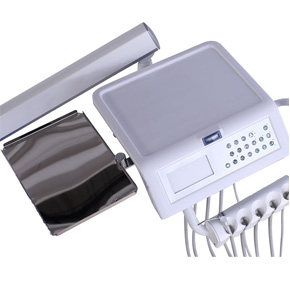 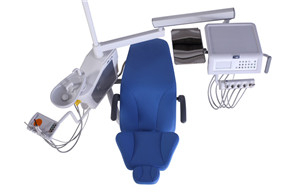 A dental chair has suction system for saliva ejector which divides into air Pressure(strong suction) attached a silencing system, water Pressure(weak suction). 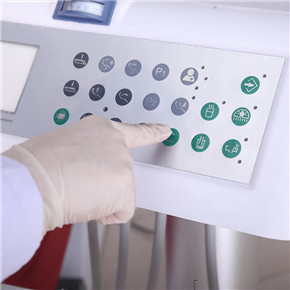 When the machine exports the air, the air in the tube becomes thin and negative pressure is formed. 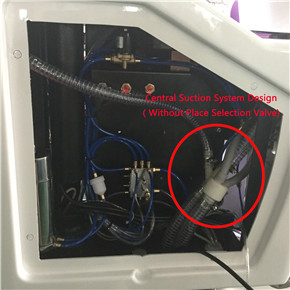 So the outside air will enter the tube by the pressure difference.The principle of weak suction is same to work. 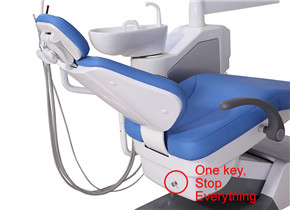 The system without place selection valve,negative pressure will enter the machine directly. 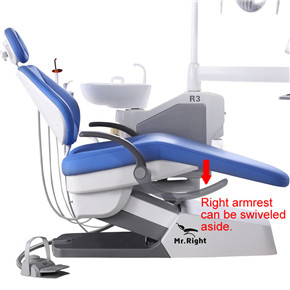 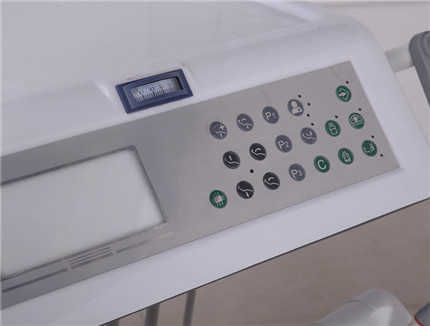 When central suction system is touched by the working dental chairs , the pressure will exist in other dental chairs without working,so this design will increases the workload of the central suction system. 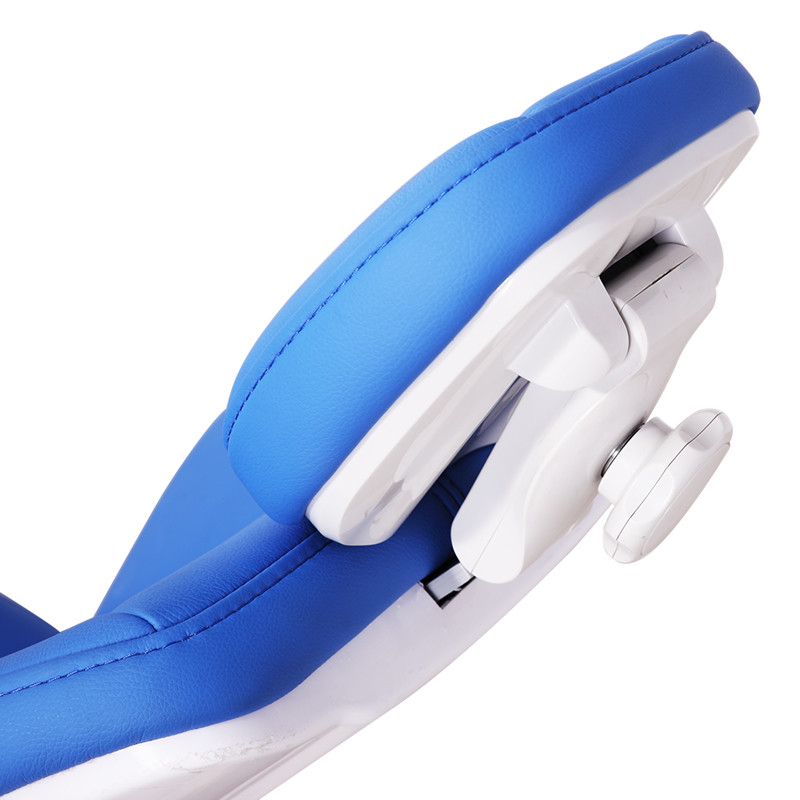 Comfortable Microfiber leather Upholstery, memory foam and seaming design for a stylish look and comfortable patient experience. 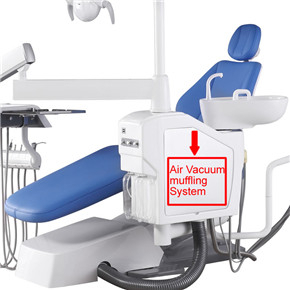 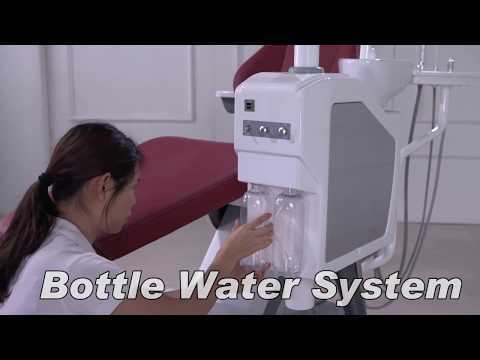 If you choose your dental treatment center to connect with a oil free air compressor, then a silencer will be installed in the suction part, supply you with a more quiet working environment. 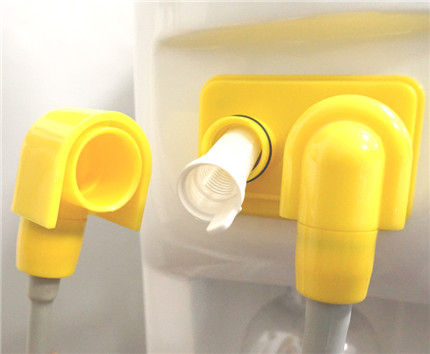 All instrument hoses and cuspidor can be disinfected using chemicals for periodic cleaning of the waterways. 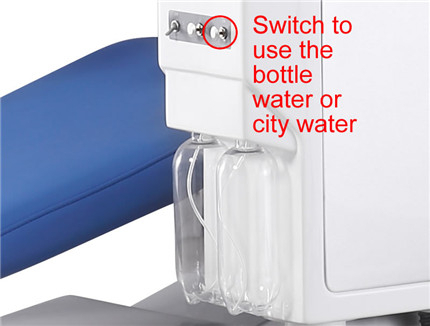 Q If the Water Temperature can be reset ? 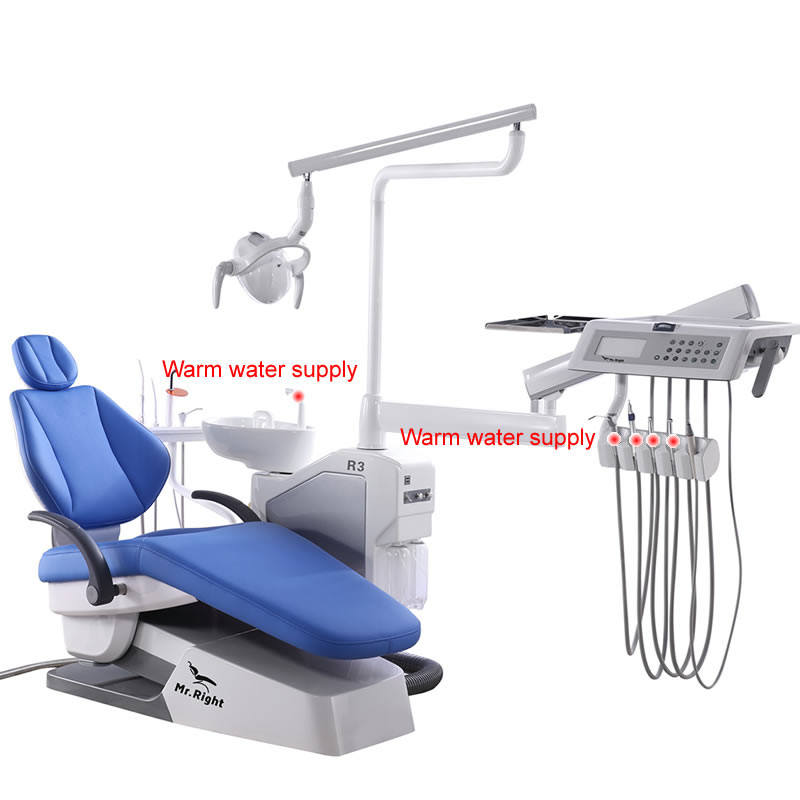 A Our R1 and R3 chair Water Temperature heater is fixed for 40℃, can not set to other temperature. 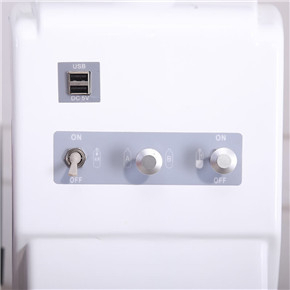 But our R5 R7 R9 Temperature heater can reset. 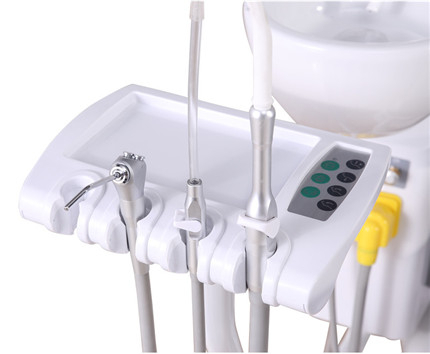 Q what do the choices for suction system for saliva ejector mean ? 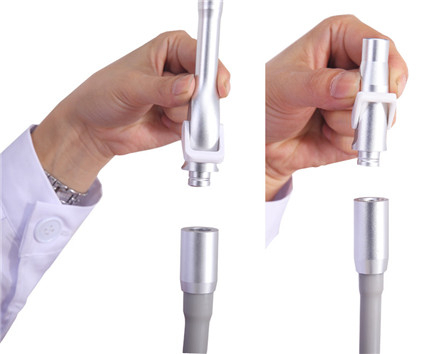 A For the Suction system for Saliva ejector. 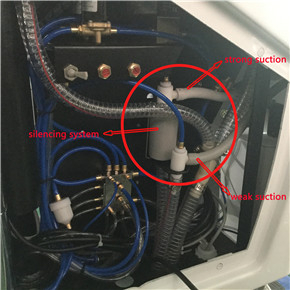 - for the normal suction system design, that is the suction power is depeod on the Air compressor and water to make the vacuum, this design power is not so strong and Stable. 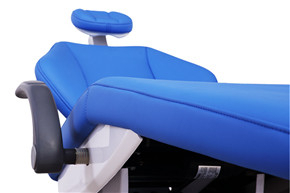 - For the Central scution system design, that is we do some change into the chair and let it can be connect to the Central scution machine. 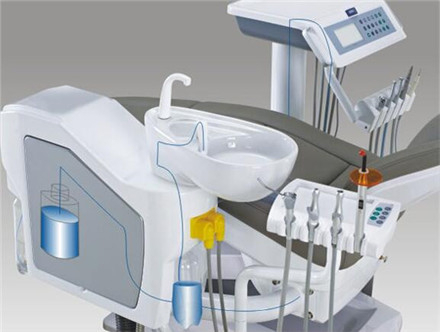 this system will make the suction opwer contorl by the Central scution machine, more stronger and Stable. 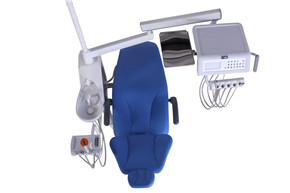 Now many our cline will also need us to add this Central scution system design. 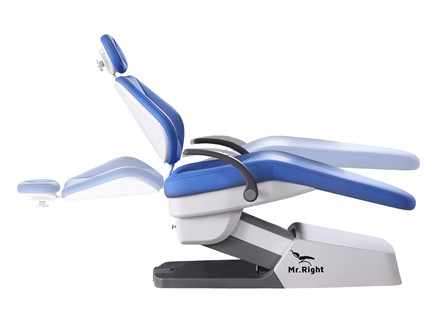 will you also like ?